I belong to Jind, Haryana. My father works in a chemist shop and mother a home maker. 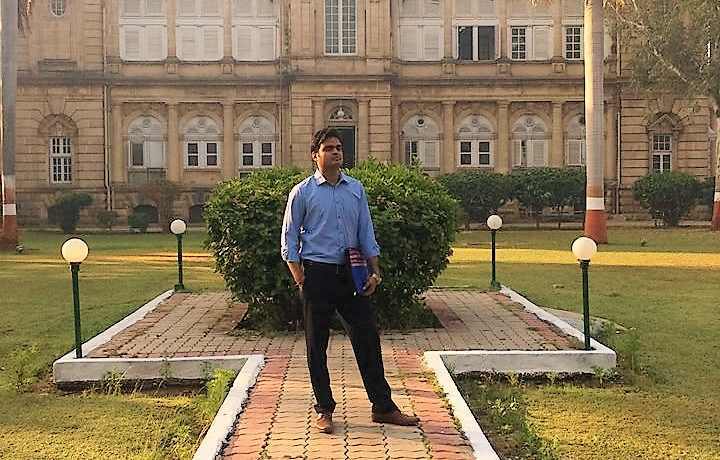 The idea of me going for Civil Services matured during my internship in 2012.This was because I used to believe that as a Civil Servant I could work for masses in much more effective way, having greater authority as well as resources at my disposal. In my view, out of sea of information available one needs to be selective and not get carried away. I used to read newspaper and make notes, also referred to internet for value addition. The beauty of this exam is that it rewards perseverance. Definitely mood swings will be there but one needs to be focused. Having faith in oneself is the precondition. I used to make small small achievable goals rather than planning big. Also I used to play sports to keep myself fit and energetic. Have faith in yourself and keep yourself motivated. Talk to your friends, family, relatives. Feel joyous in small achievements like good marks in a test series. This exam takes time till final goal is achieved. I got selected last year also but my rank was not satisfactory. The main reason was low marks in optional. I worked on that aspect along with on essay and that paid off well. Practice as many papers as possible for prelims. Focus more on areas like environment and culture from where too many questions come these days. Just solve 2-3 papers of CSAT. If you are finding it difficult need to work more. I used to practice sample papers ofVision IAS. Mock tests can help in a way that they streamline your preparation and give you necessary feedback. In my first attempt I got just 75 marks in essay and thus could not qualify mains. Then I seriously focused on essay .I used to write essays and got them evaluated from many persons. One important aspect of essay writing is that the beginning and ending must be appealing. Ending must also be visionary. First one on value education and second on dreams which shouldn’t let India sleep. Once basic concepts are clear then paper could be attempted easily. Focus on answer writing particularly case studies. Try to attempt as many questions as possible. Even if you have some idea about a question, attempt it. Merely filling space doesn’t matter, what matters is content. I tried to answer mostly in bullets, but in some cases paragraph also. In few questions this can be done but completing paper is race against time so not possible in each and every question. In optional papers only. In GSs papers no time left to use them. Yes I drew diagrams in Geography and optional. With pen only because no time to use pencil. Blue pen as it gives a better contrast in white sheet. Medical Science. I chose it as it is my graduation subject and well scoring. No test series available in market so need to practice previous years question papers. On certain topics like Dermatology and Psychiatry. In paper format. Same level as of previous year. Searched from internet and books. Read newspapers for current affairs. Yes. Not exactly similar but they do help in sensitizing you for the ultimate day. At friend’s room. Just read the newspaper. Be there on time and bring your eye prescription if using spectacles. This question disturbs a lot especially the medicos. I replied that in Civil Services I would have greater resources at my disposal as well as authority to bring the required change which I somehow lack in my present job. Would have focused more on GS. Though I haven’t thought of it but if not selected I would have continued my career in medical field. In my view Optional subject helps aspirants of science background especially when the whole exam pattern is tilted towards humanities, so I am not in favour of removing it. That was a good move but still some issues like Hindi translation are there which needs to be resolved. Yes in my view IFoS exam should be separated from CSE. Half merger has led to one more problem that the prelims paper is flooded with environment ecology questions. In my case it wasn’t present as I was working. But honestly speaking these things don’t matter at all. In interview, you are judged based on your views and not your schooling medium and work profile. Try to give your best and you will succeed one day. Never get bogged down by the facts that you are from rural/poor background. Its only hard work that matters and nothing else. As mentioned earlier self-confidence and perseverance are the key to success not only in this exam but for every exam. Rectify your mistakes and again prepare with full energy, you will definitely succeed. My parents, teachers and friends. 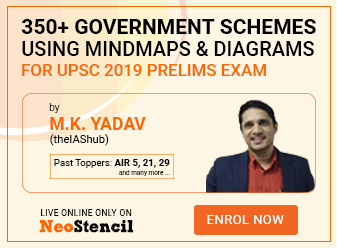 Two persons I would like to mention here are: My uncle Dr K S Goyal – he is the person who first suggested me to go for this exam and stood with me during my entire preparation phase and second is my brother Vivek who is my best teacher, mentor and guide. Yes definitely helpful especially for the starters. Your Economics articles have helped a lot in clearing basic concepts. The lectures on geography are also quite helpful. I owe you much in my success. Sir,how many questions on medical science were asked in the interview.? One thing i do not understand ,,why do they join coaching when they prefer the Basic standard book like NCERT for Ancient medieval and so on like polity lakshmikant or say mrunal economics ?? stranage ..again if they following NCERT then how do they got/managed time for Coaching material and their materials?? I think the same reason – “Why did you attend the school from class 1-10th when you could have read all the NCERTs sitting at home” i.e. the reason to attend coaching is to get guidance and to learn how to read, visualise things in a broader aspect, how to develop forward and backward linkages and moreover to assess urself where you are standing among all the aspirants. Sir me MBBS kar rha hu 1st year h.
Suggest me please: I completed b.pharmacy can I take medical science as optional ?? Sir biggest fan of yours..
Aap ki profile din me kitani bar padhti hu ..salute.